This evening we launched some great new features on the website! The list is now more complete than ever and gives you the real best storm days in one great list. As you will see, a lot changed and it is very different. Also when you'll look into the archive and check the Kp indices of a day than you'll now also see two Kp-index tables: The official GFZ Potsdam Kp index and the NOAA estimated observed Kp index. The NOAA Kp chart is just an estimation of the planetary K, just like the Observed Wing Kp. So the real Kp index is derived from multiple magnetometer stations around the world and is an exact representation of the real observed planetary K.
Today we introduce a new help article: what are radio blackouts? The CME impact alert is now out of beta phase (alerts on the site/Twitter and behind the screens tinkering) after three successful alerts and will now also be send trough email. Our CME impact alert system automatically detects CME impacts (providing they are clear enough on the data) and sends out a Tweet to our Twitter account and an email to everyone on our email alert lists. Thanks to this system you will be the first to know when there is a CME passes the ACE satellite! We hope you enjoy this feature and if there are any comments or suggestions be sure to let us know! Consider a donation if you enjoy SpaceWeatherLive! We made a minor update to SpaceWeatherLive. 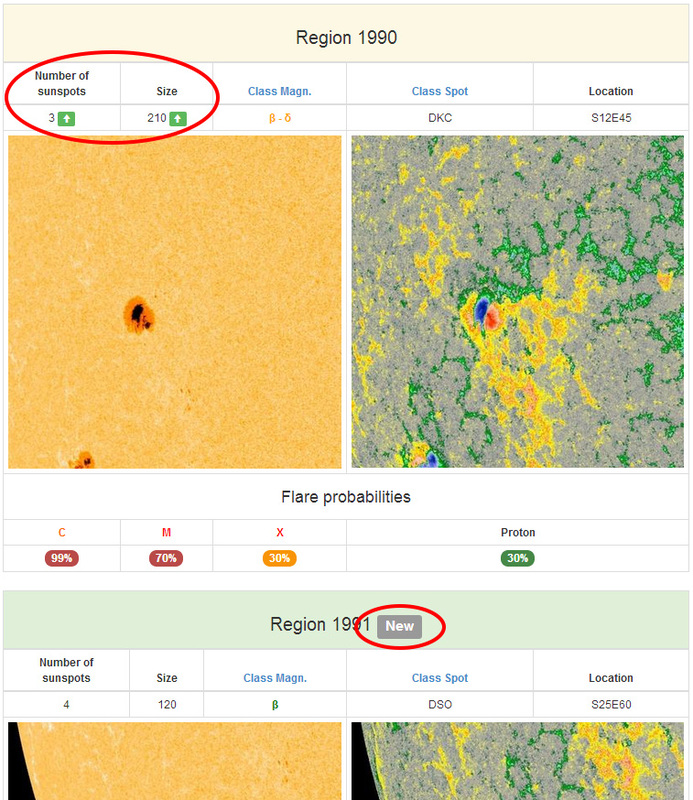 On the sunspot regions page (http://www.spaceweatherlive.com/en/solar-activity/sunspot-regions) we added a new column to indicate the size of sunspot region in millionth's and added an up or down arrow to indicate whether the region is in decay or in a growth phase. New regions will receive a bar with the word ''New'' next to the region number. This data can also be found in our archive. Today we are introducing a new feature on our website! 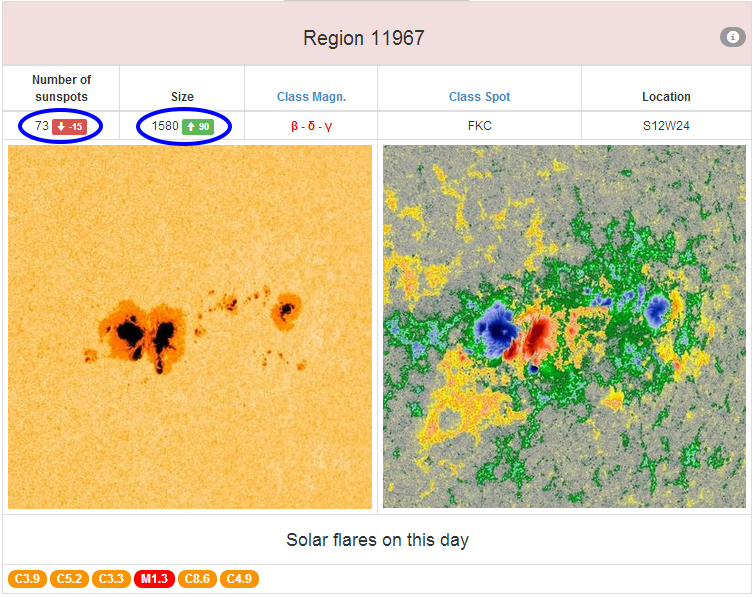 As many of you know you can go back into time in our extensive archive and browse through the sunspot regions, flares;, Kp indices, ... of a particular day in history. But if you want to look back at one sunspot region in particular, you would have to go through a lot of days in our archive to know how the region looked like and what the properties were of the region and when it first showed up or when it disappeared. Now you don't need to break your head on it, we combined all data from every sunspot region since June 1996 into a huge database so that we wan provide a special Sunspot page where you can find all data of one specific sunspot region and (available since march 2013) how the region looked like during it's passage day by day. On top of that we included the top 10 solar flares every that region (if it produced 10 of course). Regions that where not flare productive will show no list of flares). On the page of current sunspot regions there is a small button in the right corner of every region which leads you to the page. It can also be found on our Top 50 solar flares pages and of course through our archive. This feature is also interesting for returning regions, we already announce returning regions on our site and that is now also linked to the sunspots page where you can look back how the region was during it's previous rotation. We hope you enjoy this new feature! If you have suggestions, we'll look into it! On the sunspot page and in our archive we added an indicator showing how many sunspots a sunspot group gained or lost and the amount of area coverage a sunspot group gained/lost since the past day. Hopefully you enjoy this new feature! Due to some code refactoring and optimizations some pages did not show up as they normally would. all problems are normally solved but if you still find a strange looking page, please mail us so we can fix it. Code refactoring keeps our site healthy and fast and makes it up to date with latest techniques, and SpaceWeatherLive tries to stay up to date with these things. Other than that we are busy with a new feature that we run in Beta, a lot more testing needs to be done and we'll update you on it when it will go visible for everyone. Starting from today we start our public beta test of a new feature that we will use in one of our alerts. In this public beta testing we extend our solar flare alert to automatically assign an active region to a flare. In the beta test we set this very strict so we don't get wrong detections so only when we are very certain it will be added to our alerts. The feature has already been tested in closed beta and performed very well, so we are glad to introduce it. In these more calm times we worked hard in the background the last weeks enhancing our code and optimizing it further for the best experience. The radio blackout alert now also tweets the NOAA SWPC D-RAP plot. 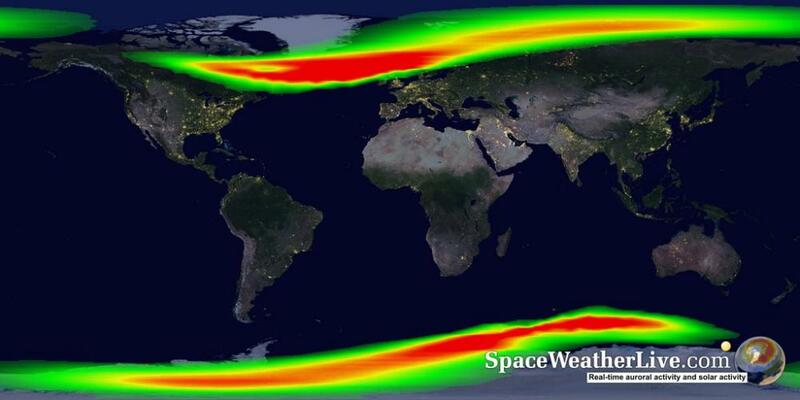 This is a map which shows the locations on Earth where solar flares affect earth's ionosphere during a flare. 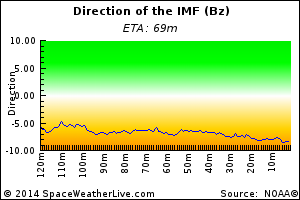 High frequency radio signals travel trough the ionosphere and these signals get absorbed during a flare event. This means that HF radio communications and even LF navigation systems become disrupted. This is important for people who use high precision GPS systems like farmers, and users of HF radio like aviation and maritime users. The link below will bring you to the radio blackout tweet from this morning. For the solar flare alerts we now use the SDO/AIA 131A images instead of the EVE/SAM imagery as that instrument unfortunately failed. During a solar flare event you can recognize the location of a flare there where the brightest (colored white) spot is. We used data from that instrument to assign an active region to a solar flare, so it's sad that we no longer can provide that. But there is good news too, today we started developing our own system for AR detection during solar flares. we used the solar flare from this morning to test this out so if all goes well, after hours of coding, we hope to see it in action soon. We introduced a few new graphs under the Solar Cycle progression page including a graph showing the number of C, M and X-class solar flares per year and per month as well as a graph showing the number of days with a geomagnetic storm per year. These graphs give us a whole new way to see how a solar cycle is evolving over time. With large sunspot region 2192 fresh in our memory we looked for a way to quickly find information regarding the size of certain sunspot regions. 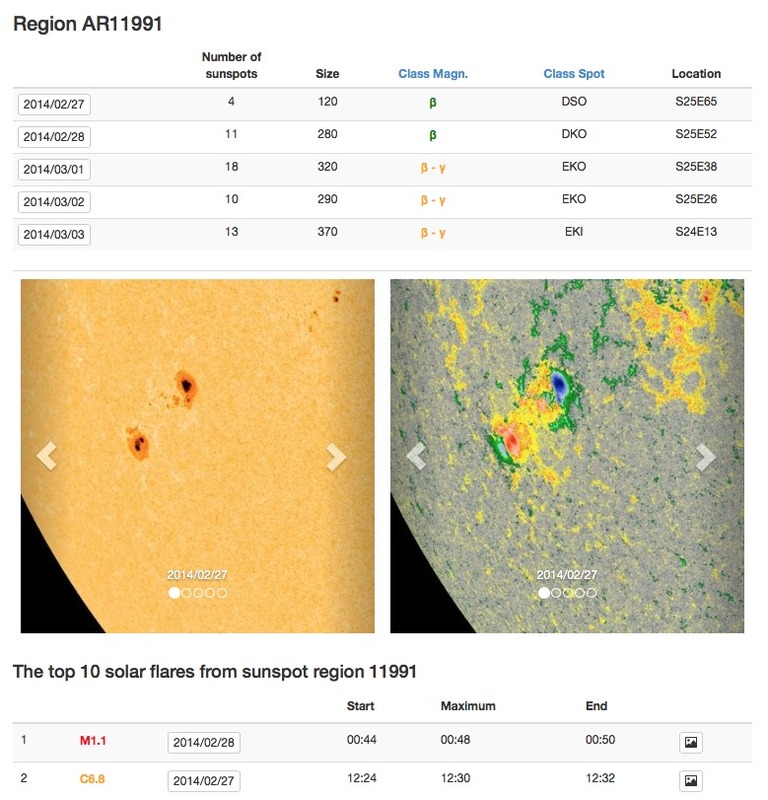 This resulted in the Top 25 sunspot regions page which will give you an overviewing of the largest sunspot regions of solar cycle 23 and 24. We are glad to announce that we are now also providing data and imagery provided with permission from the kind people over at the Mauna Loa Solar Observatory in Hawaii. This is ground-based observatory which gives us exciting new imagery that we weren't able to provided before like GONG H-alpha imagery. Other minor website improvements include detailed explanations on the real-time solar images pages. We hope you enjoy these new features! We are proud to release our oval maps with colorization of the predicted auroral oval. It starts with light green where chances are low and building up to a more red color where chances are way higher. 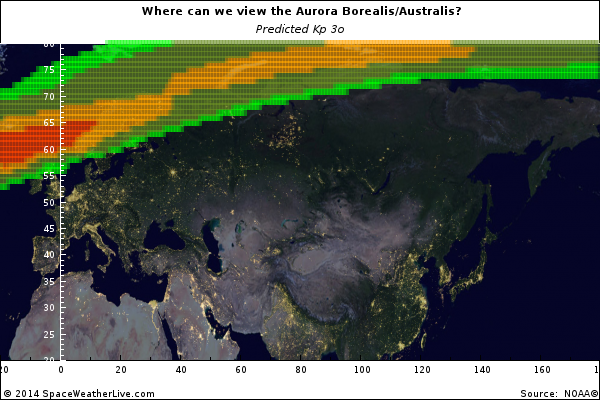 Keep in mind that aurora can be seen lower than the predicted location. Below the maps we included a preliminary list of cities around the globe and their chances to see the aurora. Keep in mind that this does not include local weather situation and/or daylight. the list is not yet complete, we'll add more locations as we move to the finalization of the page. If you want us to include your city, please respond and we'll look at it. Our help page is a bit reorganized with a bit more categorization. On the community forum, when login in you may start to use your e-mailadres to login instead of your username. Currently both will work but we are preparing an update to the forum from which you can only use your e-mailadres to login with (when you use the faster way of login in through services like Facebook or Twitter, you don't have to worry. We'll add a topic when the update is near, a bit downtime is expected but details will follow (there are some neat things coming here ). New language available: Polish - big thanks to Jakub Å»eÅ¼uÅ‚a for translating! Welcome back on our community forums! Existing users will immediately see that there has been made some significant changes to our community and yet it still looks familiar. You can still login using your existing credentials (e-mail address and password) or with the fast way using your Facebook or Twitter account. If you have problems logging in, contact us for support. We look forward for your feedback and try out our new forums and our big Space Weather Gallery. to insert media in topics/replies like tweets, Facebook messages, YouTube videos etcetera it's now easier than ever, just paste the link to the media and we'll take care of it. This is also the case for inserting your uploaded gallery images in a topic, just post the link to the gallery image and the system will do the rest. The gallery is also extended with better options and a more easier way of uploading pictures. We do excuses us for messages with strange characters, somewhere in our upgrade progress character conversion went a bit wrong. tromsö is an example of what went wrong, it's displayed like a very wrong typo. It's something we can't fix but it seems limited to some posts and not all are affected. We can update posts on your request. Check out all the features and don't hesitate to contact us if something went wrong. We've made some improvements to our caching system past night (it caused some pretty strange effects during implementation but everything is ok now ). It fixes a longstanding issue with the modules that where not the same on every page. But we also got something new on our website! When browsing our archive, it wasn't clear if a particular month was active or not. From now on you'll find new images below the calendar when browsing a month with an overview of the geomagnetic conditions that month and the solar activity (flares and background flux). The current and last month won't show these images because of incomplete month and/or data. As you might have noticed we did some modifications on our website making place for some new features and some older things got deleted. First and biggest new feature is the current conditions on the main page which gives you an immediate view whats currently going on. Below that are the ovation maps with the predicted oval. The frontpage will undergo more modifications but you'll notice that later on ;). In the right side of the site, where our fancy modules stand, we made significant improvements to our previously known 'live' aura chances monitor. It's now called "Today's Space Weather" and gives you a look on the odds for todays space weather in terms of auroral and solar activity. It also gives you a fast view on the flares of today. Our latest events pages are now removed, mostly because our Twitter alerts are the main source for the latest events in Space Weather. The kp page was also removed with the ovation maps which are now located on our frontpage. We still have some more modifications in our pipeline, tell us what you think, we'd love to hear from you! Our CH alert seems to be very good and was each time successful. We're glad you all like it! Due to a bug in our community software it was not possible to upload images to our gallery. We've noticed that our gallery wasn't enriched with new aurora pictures and we thought that was a bit odd despite all the wonderful aurora pictures we received from you guys. So after some investigation we discovered a bug and immediately reported this to make a quick fix. Due to the complexity of the bug it took a bit longer then anticipated so after a month it's finally fixed. Beside the bug, you'll notice new activity feeds in the menu above. This gives you a better overview on what's going on and is updated automatically. You can even set notifications on and receive an alert in your browser when a new item is posted. And the best part is that you can configure what is notified and can control the whole feed. We welcome you back on our gallery and use the revamped and simplified upload mechanism and share your best pictures! We hope you all like our Space Weather Advent Calendar. Did you solve the puzzle? You still remember those storms of this year? Check it out now you still can on our frontpage. We still provide new stuff every day until christmasy, yeah! In other news, we've updated some pages on our website enhancing our top lists! In our top geomagnetic storms, strongest solar flares and biggest active regions you could filter to see the all-time list since 1996 or view them by solar cycle. Now we've added lists per year where you can browse through! What where the strongest flares in a solar minimum year like 1998, now it's possible to find it all out. An update was launched yesterday involving the removal of the 24h Kp graph on the live auoral activity page. The currently observed Kp and currently predicted Kp will remain visible on the live page but details and history will be found on a new dedicated page of Kp-indices. 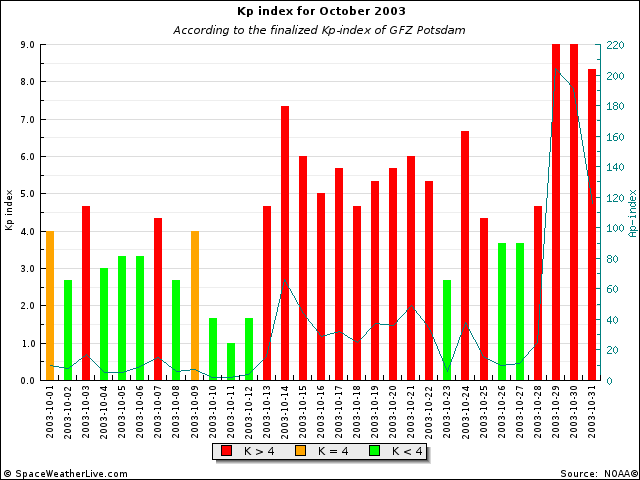 As you might know there are a a few planetary K-indices around the globe, we all know the Wing Kp model but when it comes to the real observed Kp index we have on the one side NOAA planetary K-indice (which tends to be over exhagerating sometimes) and the official GFZ Potsdam Kp-index. We've made those three available on the new page with some extra information.